The concepts behind Alphabiotics were started back in the 1920's by Dr. V.B. Chrane. Dr. Chrane's insights as a medical intuitive allowed him to create a significant following in rural Texas. In 1971, Dr. Chrane's son Dr. Virgil Chrane continued his work and coined the term "Alphabiotics" to describe the philosophy and technique as we know it today. Now in it's third generation, Virgil's son, Dr. Michael Chrane continues to help hundreds of people each week through the application of this unique methodology. 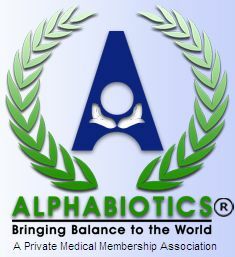 Today, the success of Alphabiotics has spread across the globe. New students continue to come from all over North America and around the world to learn from the masters. To date, hundreds of thousands have seen the benefits of the Alphabiotic Alignment Process. Alphabioticists empower individuals to express Life more fully and thus experience their natural potential for strength and well-being. We believe the only person who can heal you, is YOU! Given a healthy environment, good food, rest, a positive outlook, and the release of stress, you can live life to the fullest! Alphabiotics is NOT a religion. We do not tell anyone what to believe. There's no chanting, no meetings, and absolutely no tambourines! Alphabiotics is an applied philosophy. We are an association of like-minded individuals who believe that if we can remove the negative influences in our lives, our natural state of being is one of health, regeneration, and growth.